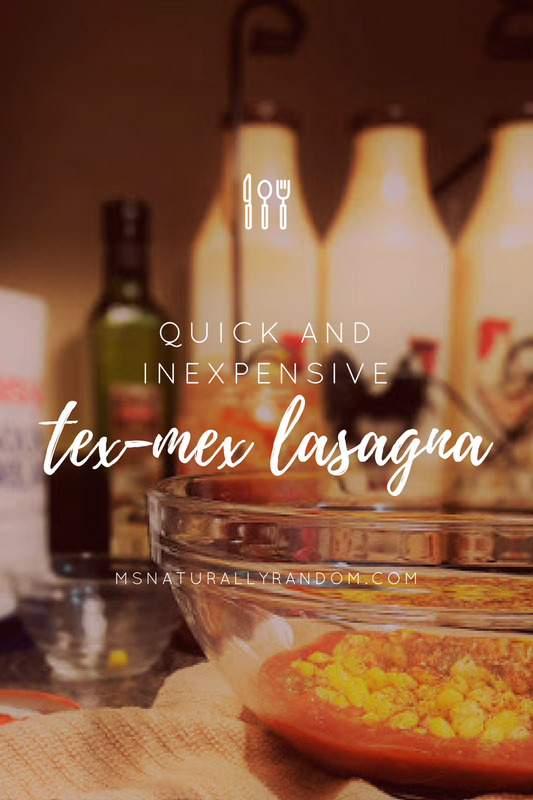 With a tighter budget and a (full of shenanigans) toddler running around, I was looking for a new quick dinner option and inexpensive ingredients. 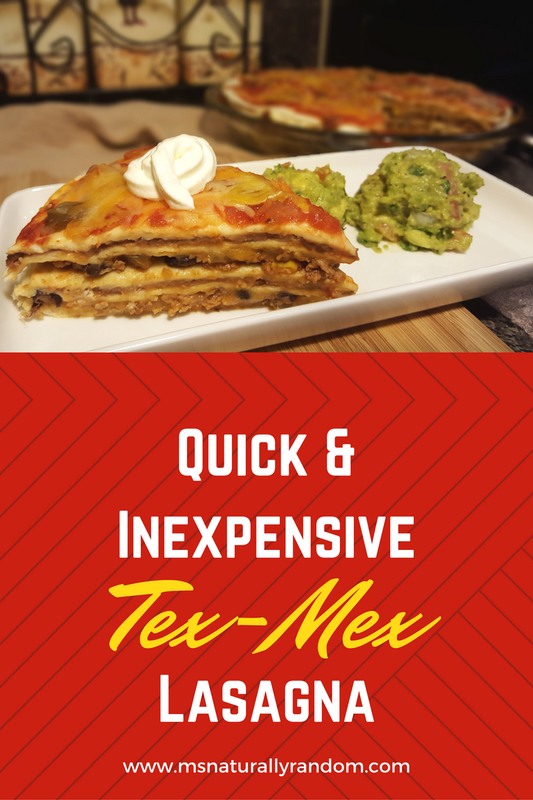 I am certainly a Tex-Mex lover and this Tex Mex Lasagna satisfied all of my requirements! Let's get to the recipe! Cook the ground meat and onion in a 10-inch skillet over medium-high heat until the meat is well browned and the onion has softened. I used ground turkey instead of ground beef. It is very rare that I ever use ground beef at home. I only eat ground beef when I go out for a burger. With using ground turkey, I get to cut down on the fat content of this recipe. There is no need to drain the meat, you can just move on to the next step. 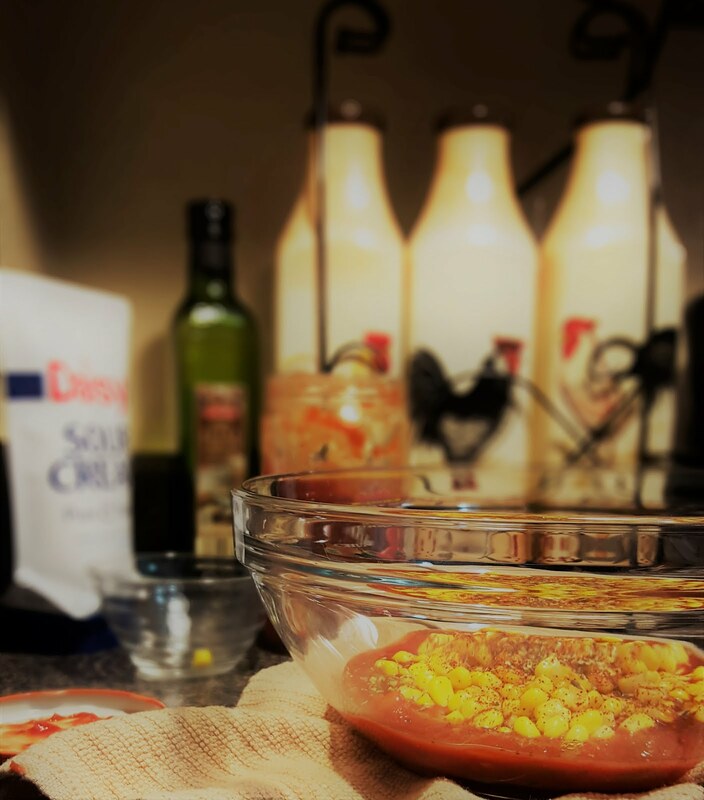 Stir in 1 cup salsa, corn, black beans and taco seasoning. 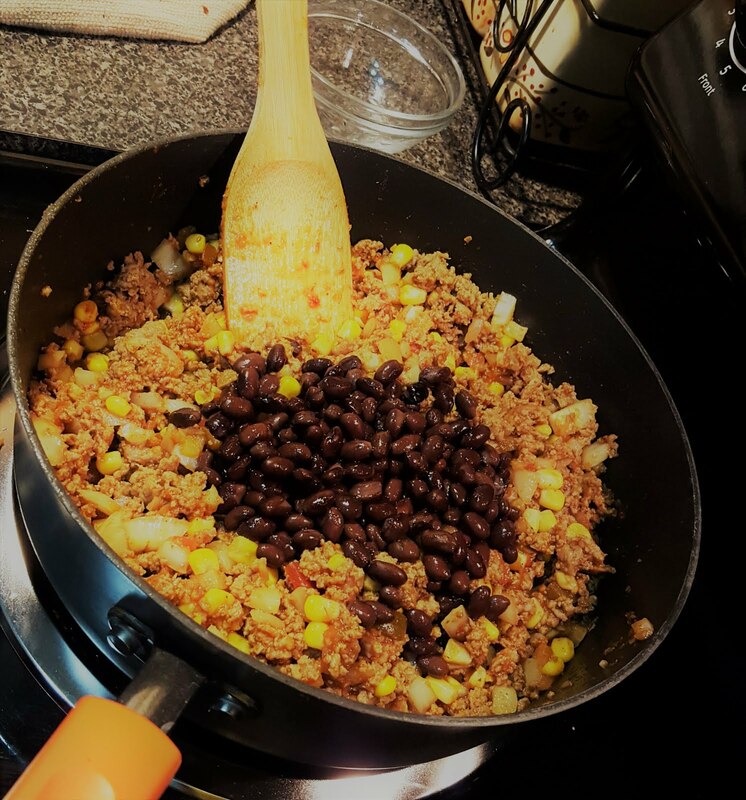 My husband is not partial to refried beans so to cut down on the use of them, I added black beans! What's a tex mex meal without a few black beans? Cook the mixture until heated through. Lightly spray an oven-safe pan with nonstick cooking spray and place a tortilla on the pan. 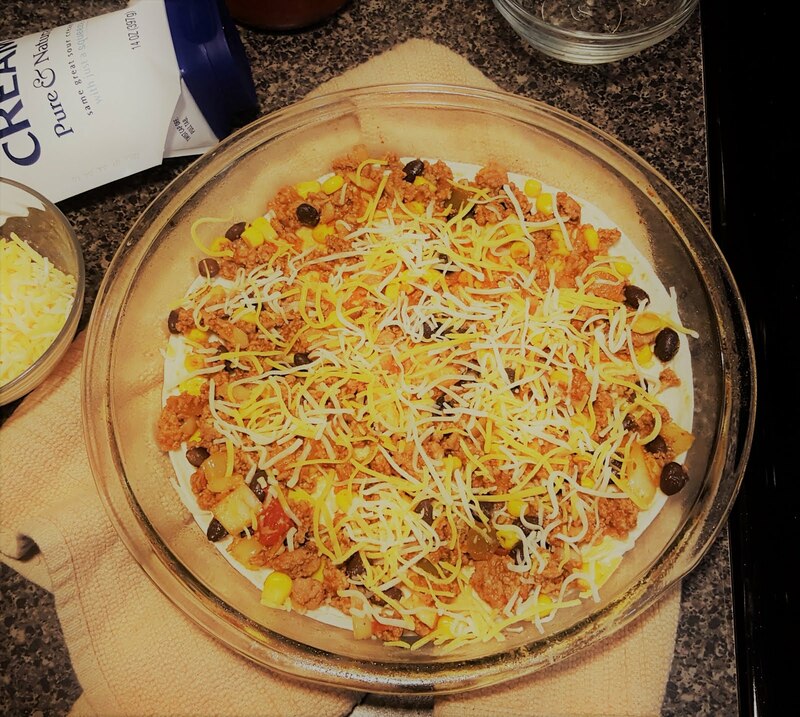 Top the tortilla with 3/4 cup meat mixture and sprinkle with 1/4 cup cheese. Cover with another tortilla. Spread with about 1 cup refried beans and 1/4 cup sour cream. 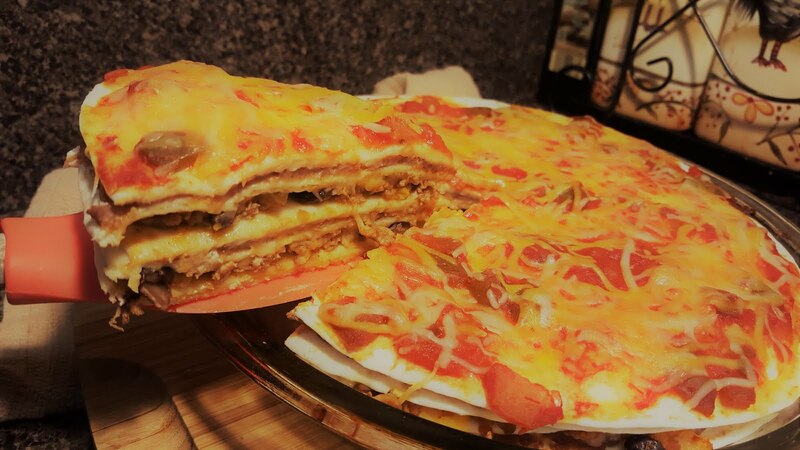 Repeat the layers with the meat and cheese and top with a tortilla. 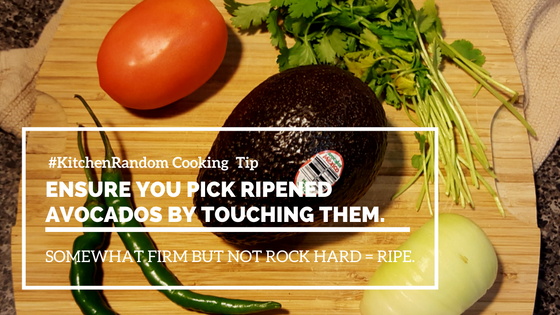 Spread 1/2 cup salsa over top and sprinkle with 1/4 cup cheese. Assemble the second stack in the same manner. Bake for 20 to 25 minutes or until heated through and the cheese is melted. Cut the stacks into wedges to serve and top with dollops of sour cream. Using the squeezable Daisy Sour Cream really helped speed up this meal. Having a little one around your ankles (well actually she's not around my ankles anymore she's almost at my hip hahaha) trying to help in the kitchen, you want to have any tools to speed things up. It also helped with portion control. Usually, when I get a dollop...I get a HUGE dollop (or two)! I opted to use my pie round pan (hence, the pizza slice shape) instead of a rectangular casserole dish...no real reason other than it was easiest to reach in my cabinet. Ha! 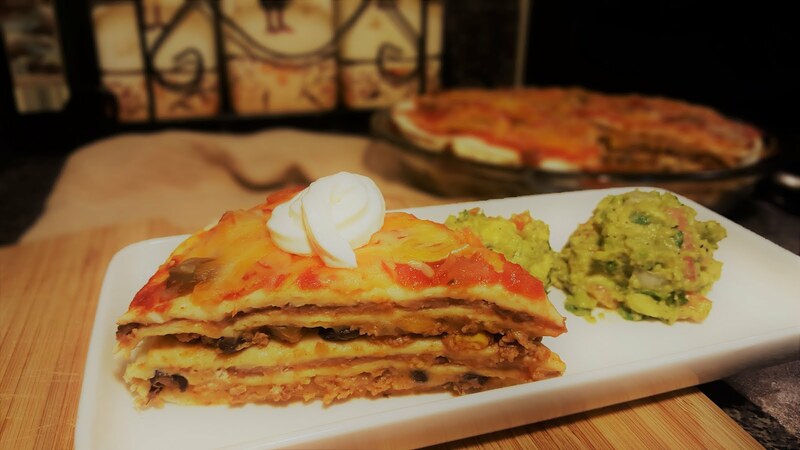 I served it with some homemade guacamole, yummy in my tummy! This recipe and all recipes are featured on my Pinterest board, "Foodie is On My Resume". 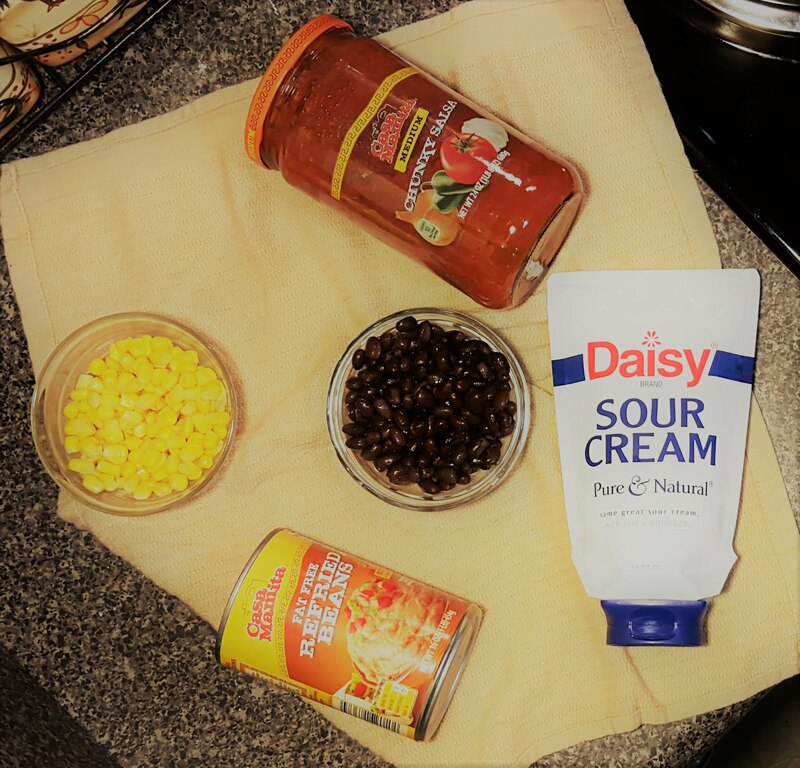 What are some of your favorite uses for sour cream? 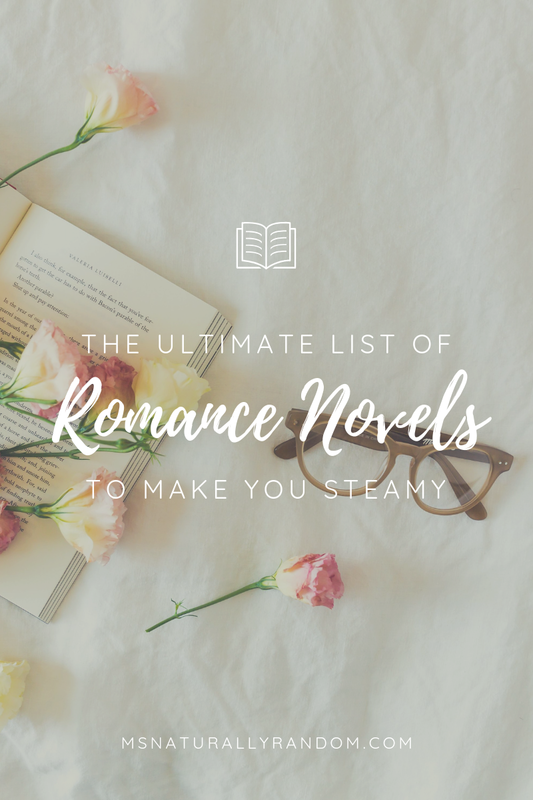 Share your stories below! *Disclosure - I was provided Daisy® sour cream complimentary for the purpose of sampling. 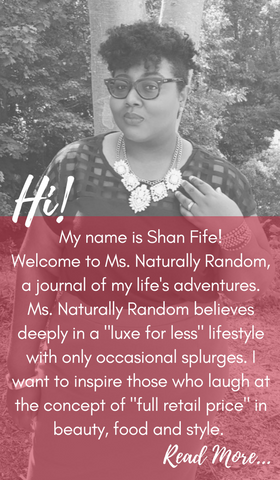 Thanks, Influenster!